The Nevada attorney general’s office expects to start receiving test results from the state’s backlog of sexual assault kits as early as June, a spokeswoman said Friday. 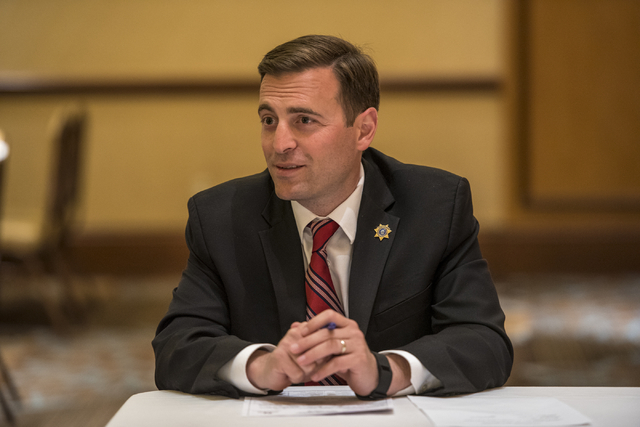 Attorney General Adam Laxalt announced funding in September for the testing of about 7,500 untested sexual assault kits, some of which have gone untested for 30 years. Of those kits, 6,500 are from Southern Nevada. The $5.6 million in funding allows the state to outsource the sexual assault evidence kits to Bode Cellmark Forensics in Virginia for a discounted rate. DNA testing usually costs about $1,500 a kit, but the Metropolitan Police Department secured a rate of $650 a kit, said Monica Moazez, spokeswoman for the attorney general’s office. Because the state is submitting more than 3,000 kits, it is receiving a bulk rate. The state has sent about 1,500 kits to Bode Cellmark and expects to receive the results of about 50 kits a month starting in June or July, Moazez said. That monthly number is expected to increase in the fall, she said. The attorney general’s office hopes to have all kits tested by December 2018, Moazez said. A spokesman for Bode’s parent company said he did not have information Friday about the number of kits Bode is testing or whether it is facing a backlog. Nearly $4 million of Nevada’s funding comes from national grants. Laxalt’s office is devoting an additional $1.7 million from a Bureau of Consumer Protection settlement to make sure every kit in the state’s backlog is tested.